Despite high primary and secondary education enrollment, students are still not receiving the quality education that they deserve. With overcrowded classrooms, limited teaching resources and under-trained teachers, many students find themselves falling behind. JWOC’s Free Classes Program offers a wide range of subjects to the local community complementing what is taught at public schools and providing a safe environment where students can play and study. We provide high-quality learning opportunities free of charge to those who cannot afford extra tuition. 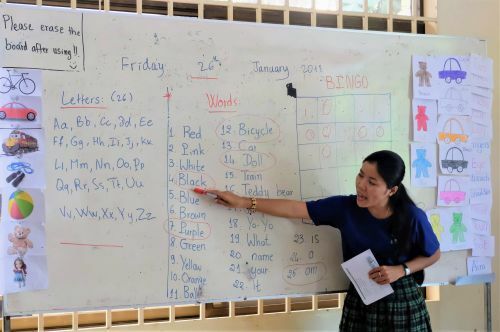 English classes are taught to a wide range of students whose ages range from 4-30 and include a range of listening, speaking, reading and writing activities all geared towards the target age group. Classes include Science, where students can explore their surroundings and learn about the world around them. 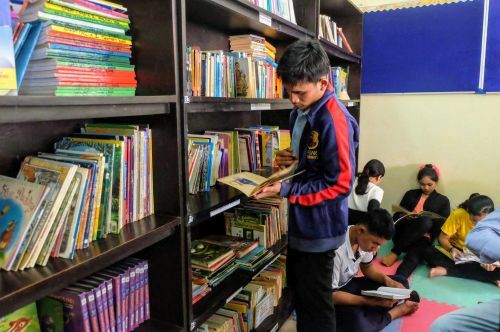 Art and Library classes which are a time for creativity where students are encouraged to delve into visual learning in a safe and positive learning environment. Computer classes offer all the opportunity to learn basic digital literacy such as MS Office, and exploring the web safely, the Computer classes provide invaluable skills required for employment many of our students would only have access to via JWOC. 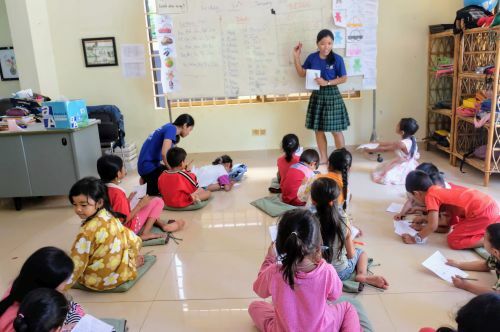 All of our Free Classes subjects are taught by teachers and volunteers who have undergone comprehensive Child Protection training and monthly Teacher Trainings. Invest in 25 students for one term by providing resources and teacher development training.